That’s why I love this trend of super sizing childhood games and playing them outside. 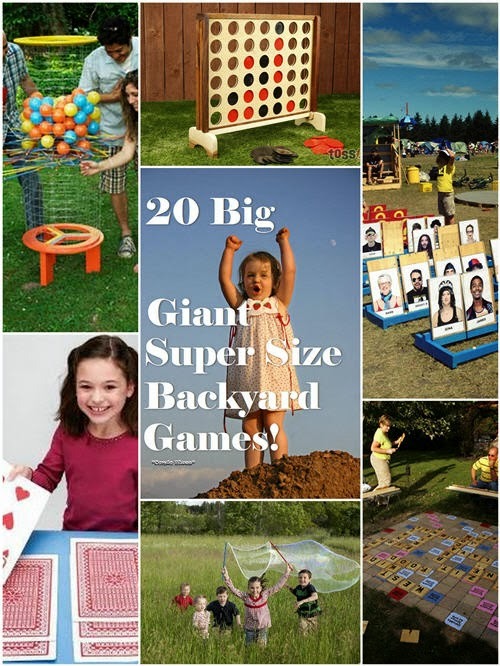 If you want ideas on what outdoor games to play at your next cookout or BBQ, think back to the board games you loved to play as a kid and make it giant size! Pin these backyard game ideas to your Pinterest boards for later! Share them with your friends! 20. Giant Garden Chess - This is my favorite way to play chess! If you'd rather buy, than DIY check out the following ideas - and more! below!